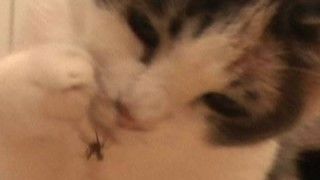 Home » Animals » Cat vs Spider : Fight ! Which one is stronger ? A spider or a cat ? Non of them : The best is … Spider-man !